Why Its Fun To Be A Mom #1 | To Be, To Be. Tutubi. 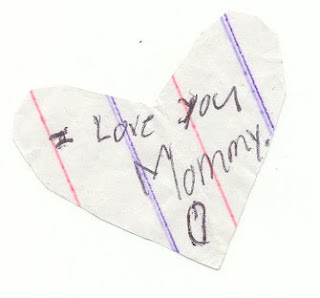 There are a thousand reason why it is fun to be a mom and one of them is finding these in your bag. I think my little girl Ishi put it inside while I wasn't looking. She was the one I saw cutting papers the other day. I was rummaging in my bag for my wallet to list down my expenses for the day when I saw this note. It really made my day! Yup, it is fun to be a mom in these sweet moments. There are downturns, but the "I Love You's" make it worth it. I was dropping EC, when I saw this. I can't help but comment. Yes, it can really make a Mom's day! Your kid is so sweet.. Things like this are what makes our lives as moms so worthwhile. By the way, I'd like to take this opportunity to invite you to join my new meme every Monday – you can visit my new blog for details.